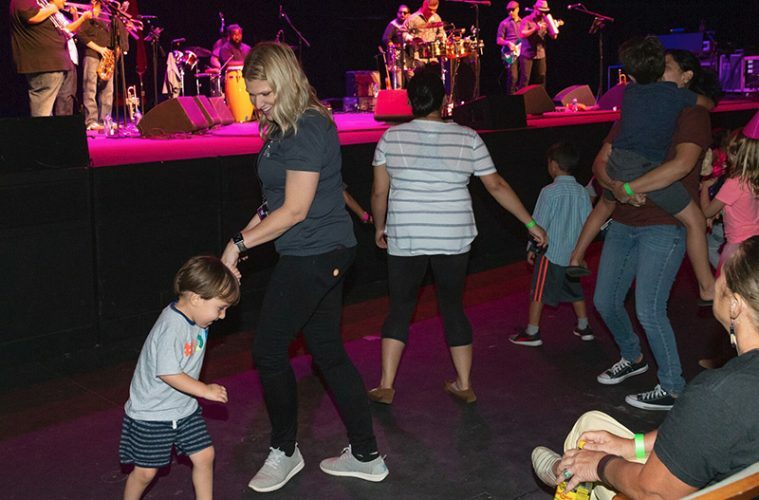 President and CEO Cory Baker dances with her son, Miles, to the Latin grooves of Grupo Fantasma at the Long Center’s 10th Birthday Party on Sept. 9. Photo by Suzanne Cordeiro. If you check out what Austin’s Long Center has in store for its 10th anniversary season, you’ll find theater, dance, music of many genres, and more. But the bill of fare leaves out a staple of performing arts centers nationwide: Broadway shows. 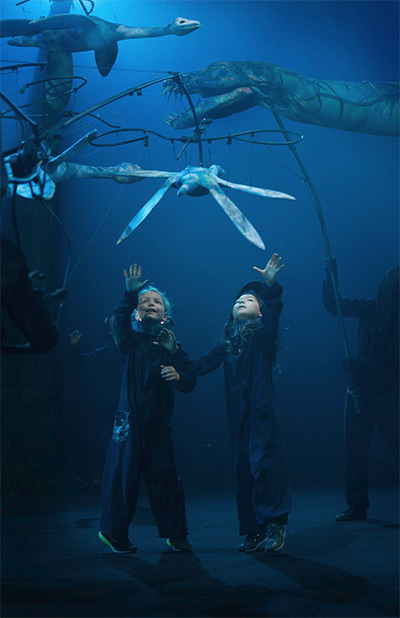 The Long Center Presents Erth’s Prehistoric Underwater Adventure on Nov. 25. Photo courtesy of the artists. For the political junkies out there, the Long Center and Texas Book Festival will join forces Oct. 28 to host former presidential photographer Pete Souza. He’ll discuss Shade: A Tale of Two Presidents, his insider’s look at the Obama and Trump administrations. On Nov. 2, the new Viewfinder series spotlighting Austin artists will showcase Montopolis, a chamber group that blends classical, country and folk ingredients, then builds the results into multimedia performances that include photography and storytelling. One of the Long Center’s core missions has always been to house Austin Opera, the Austin Symphony and Ballet Austin. In its larger venue, Dell Hall, they’ll range this season from Kevin Puts’s World War I opera Silent Night to Johannes Brahms’s A German Requiem and Igor Stravinsky’s groundbreaking ballet The Firebird. A handful of smaller groups, including the Pollyanna Theatre Company for children and the Conspirare chamber choir, have been resident companies since 2012 in the black-box Rollins Studio Theatre. The Long Center presents Ballet Folklórico de México de Amalia Hernández on Oct. 4 at Dell Hall. Photo courtesy of the artists. The Long Center’s Concert Club series turns the cozy Rollins theater in a showcase for Texas-linked musicians, including guitarists Redd Volkaert and Bill Kirchen on Oct. 24, roots musician Dale Watson on March 6 and singer-songwriter Marcia Ball on May 8. As a counterpoint to the Austin Symphony, the Long will present violinist Joshua Bell on Oct. 6 and the Boston Pops on March 24. 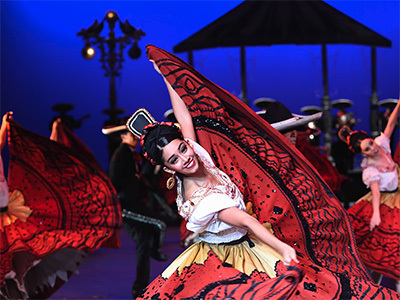 For dance lovers, Ballet Folklórico de México de Amalia Hernández comes to Dell Hall on Oct. 4, and the in-person version of TV’s So You Think You Can Dance swings by on Nov. 21.